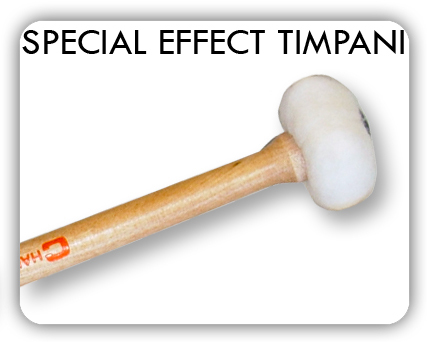 Click a section below to explore our extensive range of hand-crafted Timpani mallets. Similar in design to the standard MS timpani range these mallets have slightly longer maple handles dipped in black lacquer offering an attractive alternative appearance. The MSGJ range (new for 2006) has felt ball inner cores specially layered with seamless piano felt. The tapered handles add to a pleasing balance. In addition to hard, medium and soft, a thin felt staccato and a bright solid ball ‘forte’ model create new and exciting sound possibilities. The BS timpani mallets are of the same sack-type as the MS symphonic but with 10mm birch dowels and wooden inner cores most suitably balanced for the classical repertoire. 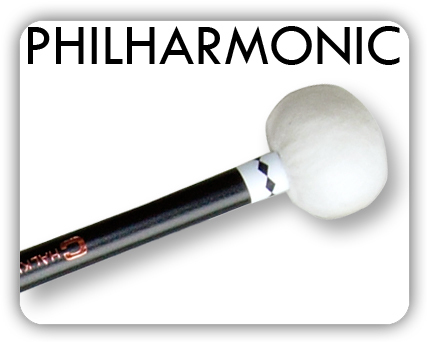 A notable addition is the BS21chamois headed stick for players who wish to impart authentic crispness and attack for music of the baroque period.